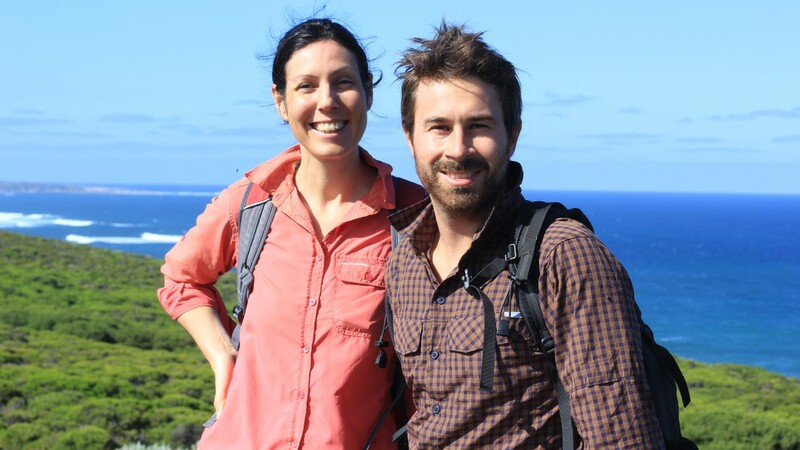 As owners and guides, married couple Simon and Emily are passionate about giving you the very best walking tours in Australia. And we think that a guided walking holiday in nature, with the benefits of a shower, a great meal and a comfortable bed at the end of each day, is one of the best holidays you can have. Almost 15 years ago, I went on my first real walking holiday to Nepal. I loved having a simple purpose each day – to get from here to here by walking. I liked that I didn’t have to worry about anything else because I was in the hands of experts. It was the best way to get to know the country, and I felt like I’d achieved something at the end. It’s still one of the best holidays I’ve had. It makes me very happy that my job is to run fantastic walking tours here in Australia. I get to put my chef background and passion for food to use by creating delicious and nutritious meals for you. My uni degree in environmental science and ecotourism comes in handy in a whole range of ways. And, most of all, I really do love working out all the ways that we can make your walking holiday as special as it can be. In 2008 Emily and I decided that our life together would be full of adventure. To celebrate and confirm this decision we walked the entire Bibbulmun Track together. It was about 1000 km and took us 8 weeks. It was very hard to go back to my office job after that. I was working long hours as an operations manager at a large logistics company. And although the work was interesting it was what you’d call a ‘soul destroying’ job. So when the opportunity came up to take over Inspiration Outdoors in late 2010, Emily and I happily abandoned our nine to fivers and haven’t regretted it once. Apart from being a mad keen (but very average) surfer and musician, I like nothing better than poring over maps and designing new walking adventures for our customers. My business and logistics background has definitely played a part in ensuring we continue to offer great value, high quality walking tours. We meet wonderful people on every one of our walks and we get to show and tell them about the land that we love – nothing beats it. First, our tours are for people who like to walk long(ish) distances. That means we usually leave our accommodation pretty early each morning (between 7.30 and 8.30) and finish walking mid to late afternoon. You won’t break any records on our walks – for fastest or slowest hike. We keep a steady pace, but there are plenty of opportunities to rest, take photos and appreciate the views along the way. A relaxed, social and supportive atmosphere is central to our tours. Have a chat and enjoy the sights and smells with your walking companions. Then back at the accommodation, slip into your comfy slacks and slippers and put your feet up with a cup of tea or a wine. Enjoy the conversation around the dinner table. And if you want to go to bed as soon as you’ve finished the last spoonful of dessert, or stay up and chat, you can. We don’t specialise in birds or plants or rare subterranean amphibians – although we’re interested in all of these things. There are no evening lectures and you don’t need to bring a notepad and pen (unless you want to – Emily brings one on every tour she goes on!). We have a sound and ever-expanding knowledge of the unique and special environments that we walk through, and love sharing what we know with those who are interested. We especially like digging around for stories of the plants and people whose history is linked with the areas we walk in and we’ll share those stories with you as we walk. MEET ADAM: Adam became an ‘Inspirational Outdoorsman’ in early 2014, when he returned to live in Fremantle after a year working and traveling in Europe. 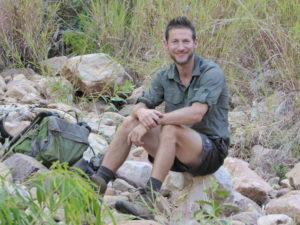 Adam previously spent four years as a tour guide in Western Australia’s amazing Kimberley region and has an incredible passion for and knowledge of the area – especially its Indigenous and European history. He’s fast becoming an expert in all things south west Western Australia, Victoria and Tasmania too. MEET MIKE: Mike joined Inspiration Outdoors in 2015. 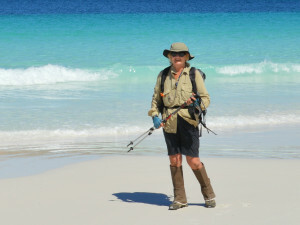 He has an unbelievable resume of hikes in Australia and around the world. He also has a cheeky sense of humour. 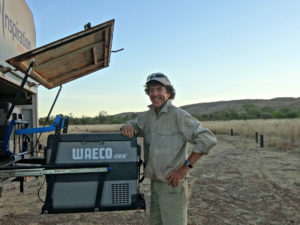 Like Adam, Mike has spent many years living and working in the Kimberley region of Western Australia. He has a keen interest and good knowledge of the history, flora and fauna of this area and is no stranger to other regions of Australia either – having hiked, biked and paddled every corner! Whether it is knocking up a gluten free raw dessert in Margaret River or welding a trailer on the side of the road in the Kimberley, Mike’s experience is a great boon for Inspiration Outdoors. Our guests feel safe in his very experienced hands. MEET RACHELLE: Rachelle joined Inspiration Outdoors in early 2016, bringing the expertise of the east coast to the team. 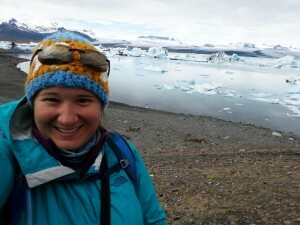 Rachelle studied Environmental Science and Ecotourism at Griffith University before working as a guide in Canada and Australia for a couple of years. Since 2013 Rachelle has been guiding tours all over Australia, focusing on the eastern states. Born in Australia and raised in Switzerland she grew up with a passion for the great outdoors (from the European Alps to the Australian Rainforest). She has lots of experience hiking in all sorts of environments and conditions throughout the world and always enjoys exploring new places and new trails. Rachelle loves sharing all her knowledge and passion for the amazing places we visit and will be more than happy to help plan your next walk! 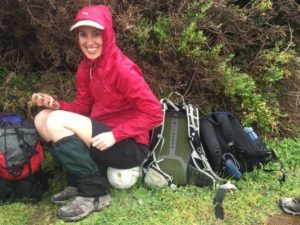 MEET SARAH: Sarah joined Inspiration Outdoors in September 2016 after resigning from her position in the mental health sector in search of a career which would allow her to pursue her passion for the great outdoors and hiking. She is caring, keen and we think, just wonderful! Sarah has been a member of the Great Walk network for the past 20 years, scouting, organising, coordinating and guiding walks. She is also a keen cyclist and has completed many cycling holidays through France. If you find yourself out on tour with her in the future, rest assured you will be in good hands! MEET IMOGEN: Imogen has a fascinating job history that has seen her work as a tour guide throughout Europe, live in Mauritius studying the dolphins through to her most recent position where she worked at a turtle conservation station in Gnaraloo (and she grew up in the Southwest of WA). With a keen knowledge for fauna you will probably see her documenting different species she spots while on tour and I’m sure she would appreciate an extra set of 13 eyes! MEET CAMPBELL: Campbell has a broad range of experience in tourism all over Australia. His first job in the industry was as a senior guide at a camp at Ningaloo Reef taking people kayaking, snorkeling and walking. His love of the marine environment has been a part of his life, and a season working as a whale shark spotter/guide was a big highlight. MEET MALCOLM: His love of cycling, kayaking and hiking in remote parts of the world has seen Malcolm cross continents and travel to over 60 countries yet it is Australia about which he is most passionate. Always a keen outdoors person, he swapped a career as a chef to sharing his experience and love of the outdoors (and good food) with you. MEET HANNAH: While you probably won’t see Hannah out on the track, you may chat to her on email or over the phone. She’s the one that endeavours to make sure you are able to find our tours, love our tours and want to come back again-or as she calls it, Marketing. While she does love hiking and nature, she is more of a pampered camper/warm bed/hot shower lady who rather likes the idea of working for a company who promotes just this. MEET STACEY: Stacey is an animal lover and a conservationist. After working as a primary school teacher and travel agent, Stacey found a way to combine her 3 great loves (adventuring, meeting people and being out in nature) into one job and she joined Inspiration Outdoors in 2018. Stacey loves to learn, watch documentaries and is in pursuit of becoming the female equivalent of David Attenborough. She’s funny, a wonderful person to be out on tour with and is well and truly on her way to stepping into David Attenborough’s footsteps. MEET PAM – the founder of Inspiration Outdoors: Pam Riordan threw in a career in micro-biology to start Inspiration Outdoors back in 1998. Over the following decade she built a community of walkers and paddlers who came back time and again for her supportive and fun-loving nature, her attention to detail, and her passion for helping people achieve things they never thought they could. 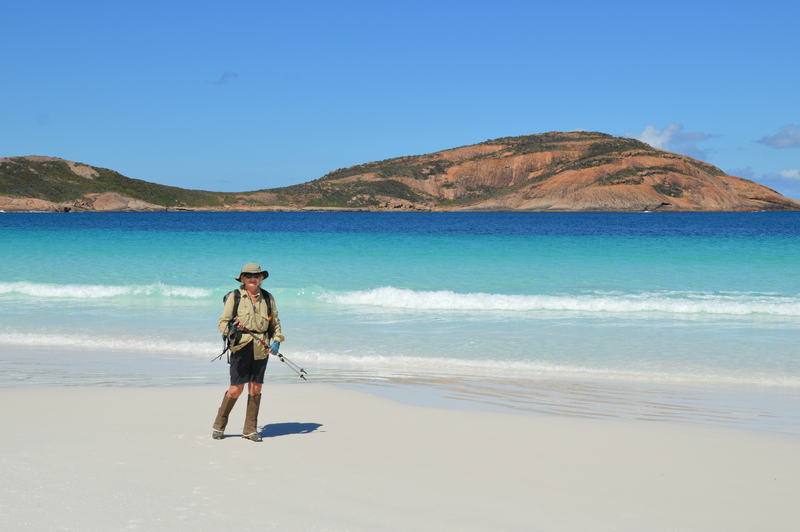 Pam would have to be a contender for ‘Most Kilometres Walked on Western Australia’s Trails’, but these days a dodgy achilles keeps her mainly in the kayak, as Inspiration Outdoors’ paddle guide. We’re honoured that Pam gave us the opportunity to continue to build Inspiration Outdoors and we try our hardest to make her proud. We’re very happy that so many of Pam’s old customers continue to love and support Inspiration Outdoors. For us, it’s one of our biggest indicators of success. Be Safe We conduct risk assessments on every section of every walk. We have Wilderness First Aid training and carry first aid kits, maps, satellite phones and radios when on tour. No Minimum Numbers We know your holidays are precious to you. The last thing you want to do is book a tour that doesn’t go ahead. If we say we are going to run a tour, the tour will go ahead. We do not have minimum numbers for any of our extended tours, except for the Kimberley tour, so you can book your holidays with confidence.